NOW AT OUR NEW LOCATION!! Welcome to Cambridge Dental Center! Whether you're looking for preventive oral health care for your family or you have a specific dental need. Dr. Matt Peterson, Dr. Lissa Cisneros and our caring and knowledgable team are here to help you! When you visit our office you'll experience all that modern dentistry has to offer, including comprehensive general, restorative and cosmetic dental services to meet the needs of the whole family. Our goal is to assist you in achieving and maintaining long term dental health and a beautiful smile! Preventive Dental Care, such as cleanings and exams, to keep your mouth healthy. Restorative Dentistry: From tooth-colored fillings to dental implants, we can help restore the functionality of your teeth for quality of life. Cosmetic Dentistry, such as teeth whitening and smile enhancements with dental veneers. In today's world, you can research finding a family dentist by reading reviews from patients! We are very grateful for the kind words our patient community has taken the time to say about their experiences at Cambridge Dental Care. We can promise you that your experience here with be nothing less! Cambridge Dentist, Dr. Matthew Peterson is dedicated to family dentistry such as Exams, Teeth Whitening, Veneers, and more. 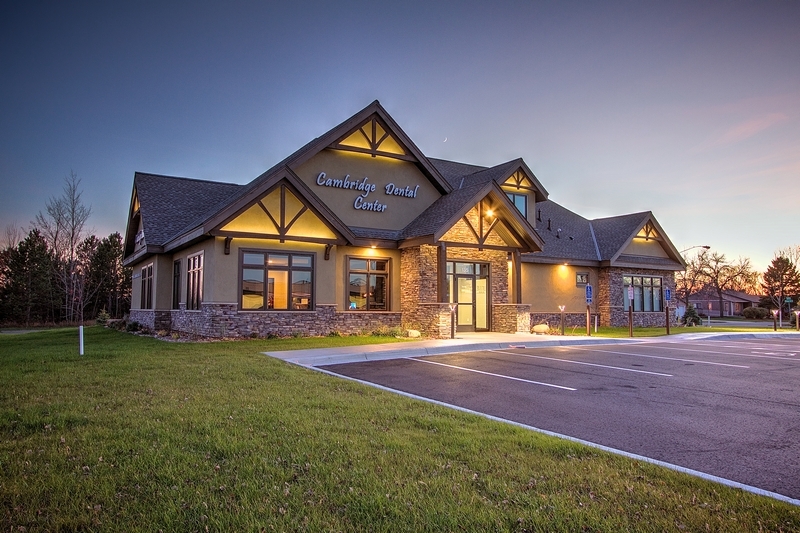 We are looking forward to your visit to our Cambridge, Minnesota dental office.